The Dr. Otto Rodriguez San Pedro Polyclinic II hosted a health fair on Friday, April 27th in commemoration of the annual ‘Medical Laboratory Professional Week.’ Held under the theme ‘One Lab, One Team, Making a Difference,’ the event saw 40 participants who learned a bit more about the laboratory services at the Polyclinic. They also had access to free medical check-ups for blood pressure, sugar, cholesterol, triglycerides testing and even finding out their weight and height. 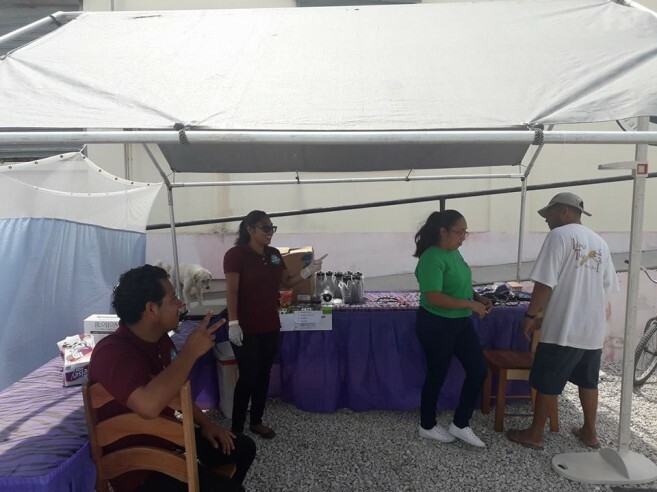 Under a tent outside the Polyclinic, laboratory staff welcomed patients from 8AM to 12 mid-day, where they provided valuable information on how to maintain a healthy life. 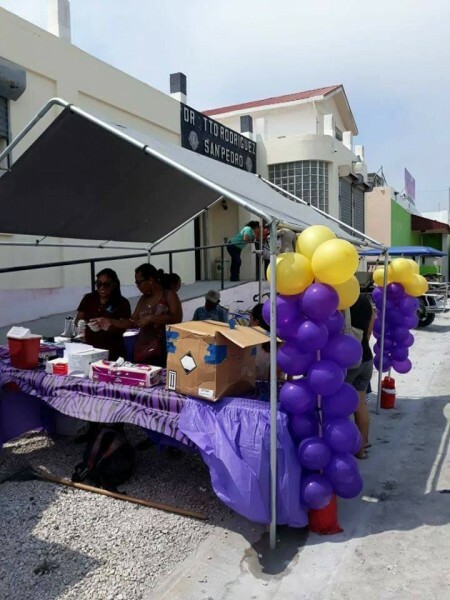 According to them, everyone who attended benefited from good quality service and learned more about the different tests that are done at the island’s main medical center. Apart from participating in the fair, each attendee was given bottles of water and salads in an effort to promote a healthy lifestyle. The laboratory staff also took the opportunity to inform the island community on the various tests conducted at the Polyclinic. Among these include haematology, Serology, Urine tests and parasitology examinations. Anything outside of these tests, such as microbiology and specimens are to be referred to the main central laboratory in Belize City. Organizers would like to thank everyone who attended the fair. They advise the general public to drink plenty of fluids and to have a balanced diet in order to live healthy and strong.